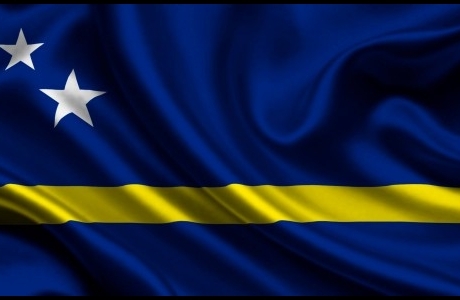 The Curaçao Flag consists of three horizontal bars with the colors Blue-Yellow-Blue. The bottom blue bar symbolizes the Caribbean Sea. The yellow bar represents our sun. The top blue bar represents heaven and the beautiful blue sky. In the upper Blue are two white stars displayed. The big star is Curaçao itself, the small state to Klein Curacao. The white of the star symbolizes Peace, Love and Happiness. Gorgeous right?! Curacao is a tropical island in the southern part of the Caribbean Sea off the north coast of Venezuela. The island is the largest and most populous of the three so-called ABC islands (Lesser Antilles: Aruba, Bonaire and Curacao). Today, Curacao enjoys one of the highest standards of living in the Caribbean, and an excellent infrastructure which is among the best in the Caribbean. The main industries of the island include oil refining, toerism, off-shore trading and financial services. Exquisite beaches and spectacular diving, stunning architecture, activities and adventures for every interest, plus a multi-cultural diversity, intriguing music, art and cuisine. 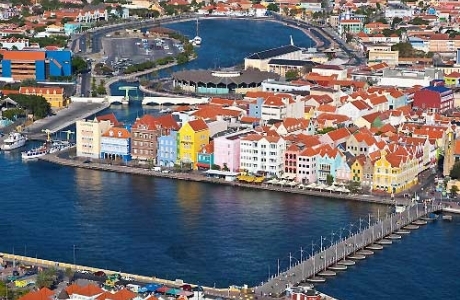 The largest city on the island is Willemstad, also the capital of the Netherlands Antilles. 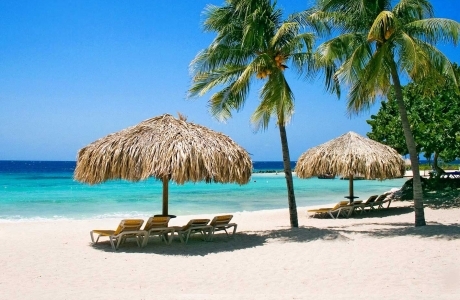 Curacao consists of the island Curacao and the island Klein Curacao , which is situated 10 kilometres of the eastcoast. The highest point of the island is the Sint Christoffelberg with its 375 metres. The island consists of corallime and vulcanic rock. 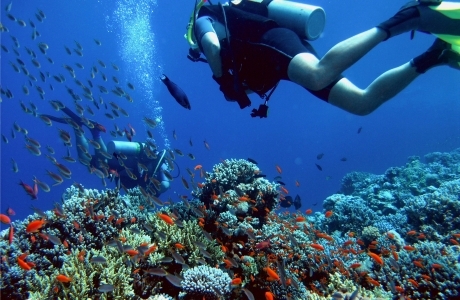 Curacao is renowned for its coral reefs which makes it an excellent spot for scuba diving. The beaches on the south side contain many popular diving spots. An unusual feature of Curacao diving is that the sea floor drops off steeply within a few hundred feet of the shore, and the reef can easily be reached without a boat. Located in the tropics, just 12° north of the Equator, Curacao has a warm, sunny climate year round. The average temperature is about 27° C (in the mid 80s F). Cooling trade winds blow constantly from the east, picking up in the spring months. The rainy season, which is between October and February, is usually marked by short, occasional showers, mostly at night, and continued sunny weather during the day. Total annual rainfall averages only 570 mm (22 inches). 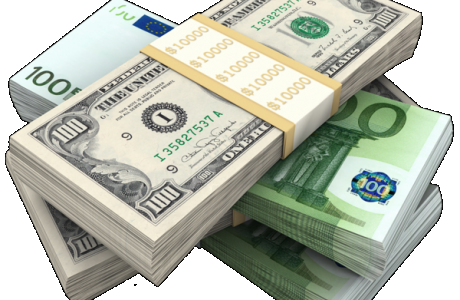 The “Investors Permit 2014” is a residence permit for bonafide foreign high net worth investors who for reasons of their own wish to reside in Curaçao for a certain period of time. The goal of the Guidelines Invertors Permit is to facilitate the investment in Curaçao by high net worth foreigners (among others, purchase of real estate property or making a business investment), thus contributing to our economy. The permit shall be issued for periods of one year at a time whereby the first permit issued is for temporary residence or for residence. The subsequent periods shall contain a promise to issue the permit, which shall be converted into a permit pursuant to a positive review as consequence of an internal appraisal by the Immigration Services (Toelatingsorganisatie) well ahead of the relevant period. In case of a business investment of at least ANG.500.000,- a residence permit for a period of 3 years shall be issued and will be renewed for similar periods if the circumstances remain unchanged. In case the requirements to obtain an extension are not complied with in time, the permit shall lapse. In case of a business investment of at least ANG.750.000,- a residence permit for a period of 5 years shall be issued and will be renewed for similar periods if the circumstances remain unchanged. In case the requirements to obtain an extension are not complied with in time, the permit shall lapse. In case of a business investment of at least ANG.1.500.000,- a residence permit for an indefinite period shall be issued. For consideration of a request for a residence permit for a period of 3 years, payment of government fees in the amount of ANG.1.720,- and charges of ANG.145,- is required. For consideration of a request for a residence permit for a period of 5 years, payment of government fees in the amount of ANG.2.860,- and charges of ANG.235,- is required. For consideration of a request for an indefinite residence permit, payment of government fees in the amount of ANG.5.710,- and charges of ANG.460,- is required. Periodic assessments will be carried out before expiration of a period; if it is found that action or omission in contravention of the permit conditions occurred, the permit shall be revoked and the payment corresponding to the unused period in which no permit existed shall be refunded when the revocation decision shall have become final.